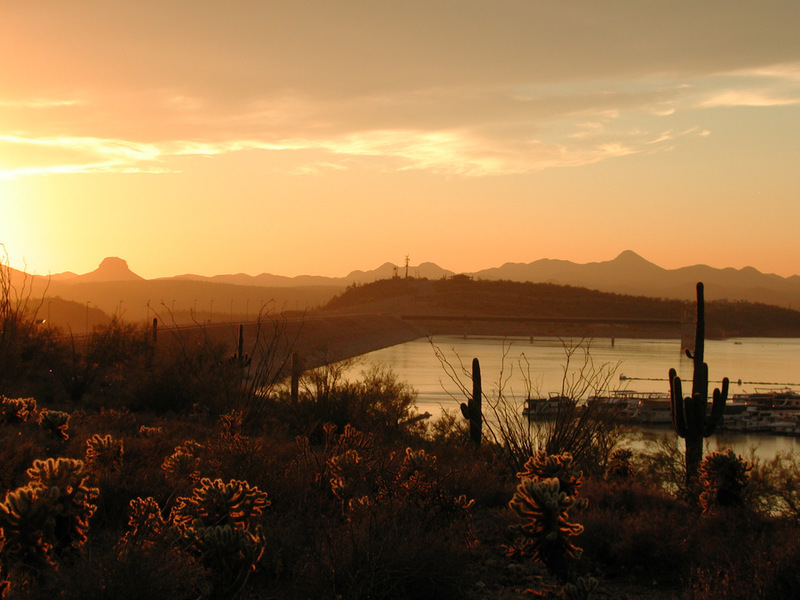 Situated about an hour north of the valley, Lake Pleasant is the largest lake in the metropolitan Phoenix area. This artificial lake was created by dam in the 1960s. Then, in the 1990s the lake was doubled in size and is now a superb boating and fishing destination. 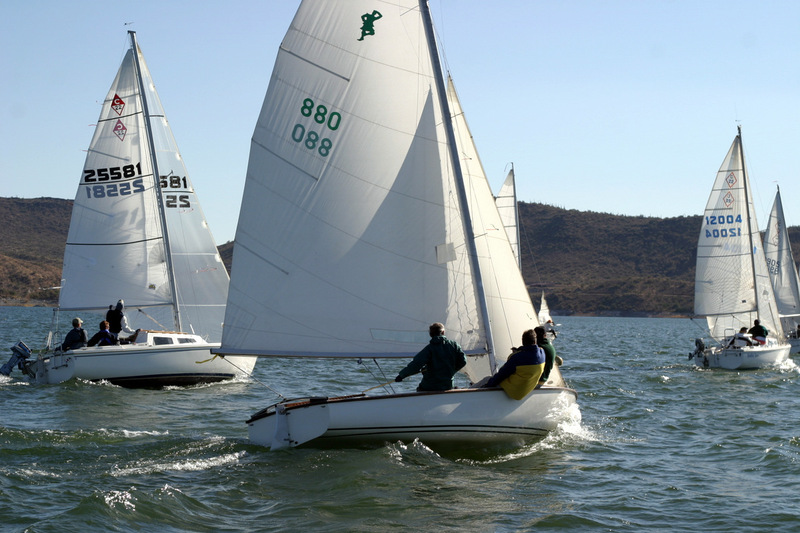 My family has been sailing at Lake Pleasant probably a few thousand times since the mid 1970s through to today. 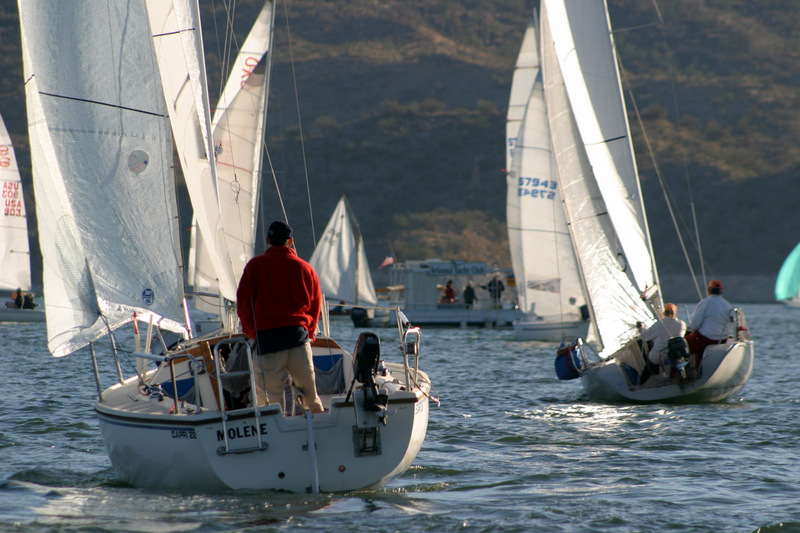 My father joined the Arizona Yacht Club back in the 1980s and still continues to sail each spring and fall in their racing series. 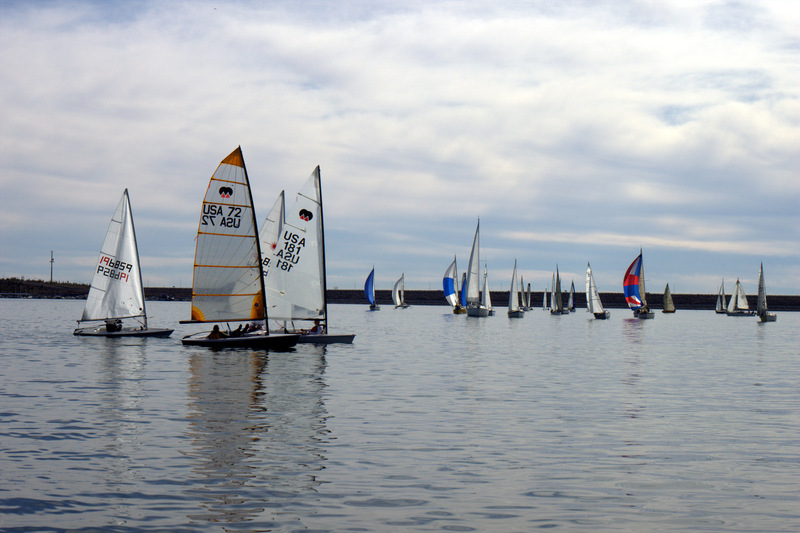 The racing series is very competitive and can include over 50 boats on some weekends. 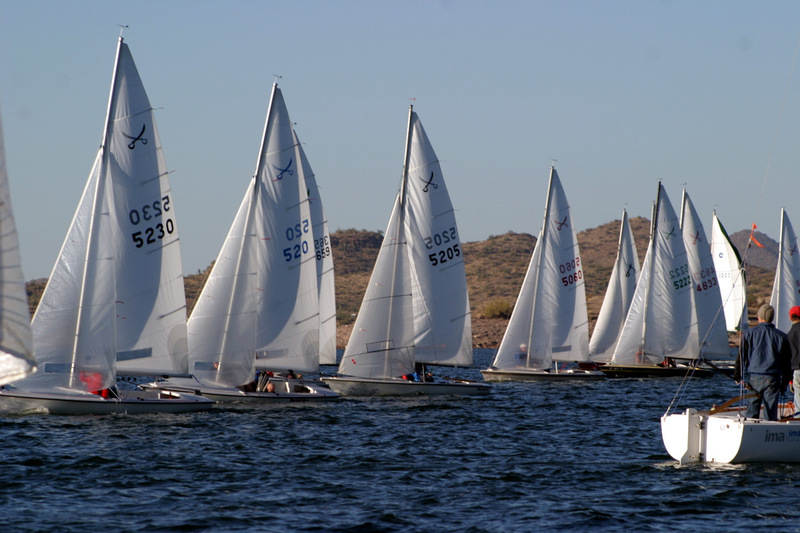 Sailing is a very popular sport in Arizona. 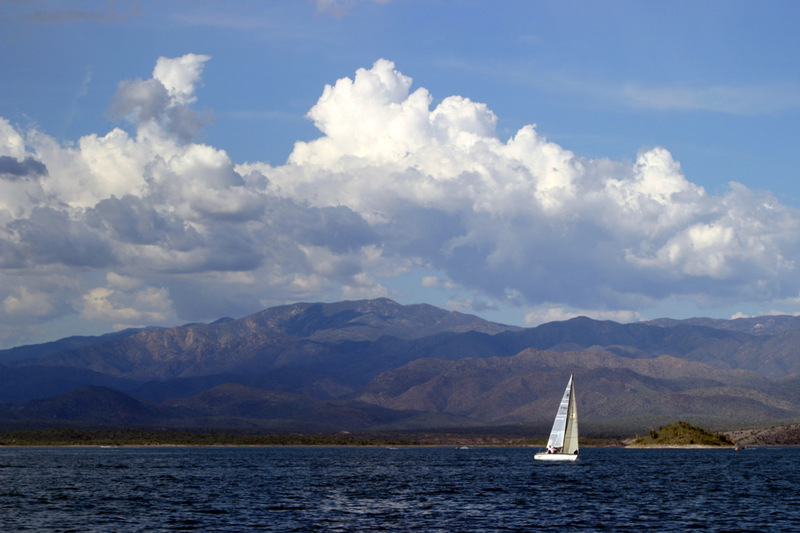 At one time Arizona had more boats per-capita than any other state — including California. 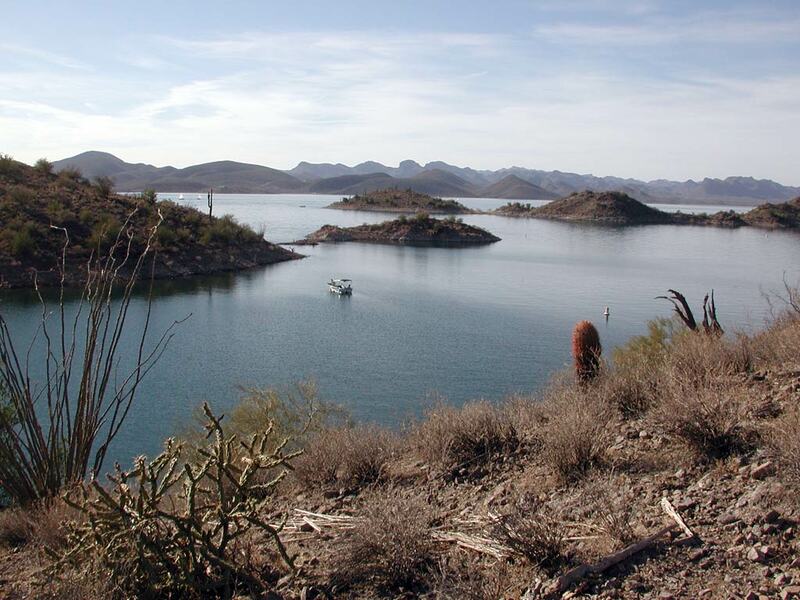 Lake Pleasant is also very popular among speed boaters. The lake is generally flat in the morning hours, and this allows motorboats to go faster. The lake is also really big, allowing extensive exploration of the lakes far reaches. 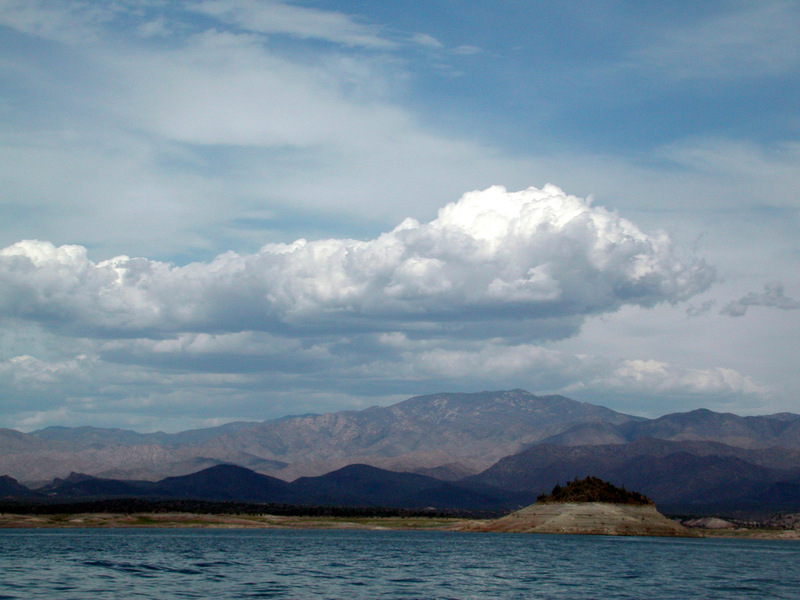 Fishing is huge at Lake Pleasant. 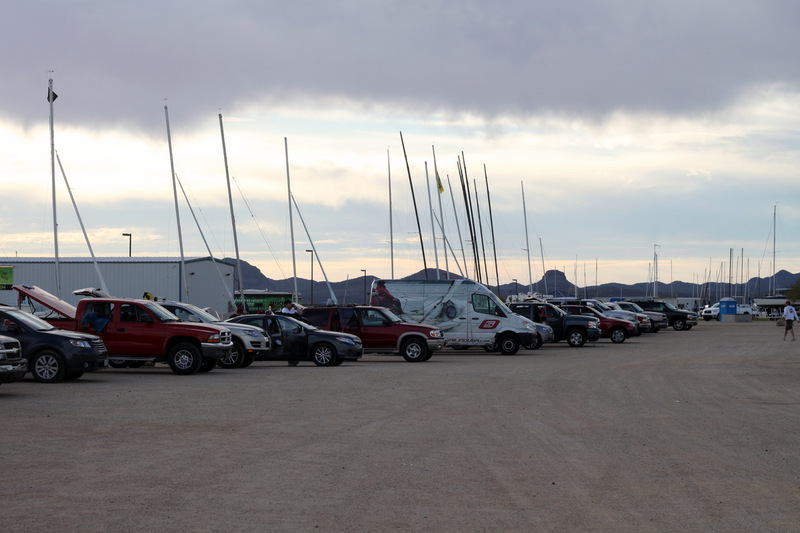 There are big fishing events held every year at the lake, and there are two or three boat ramps to facilitate demand. The boat ramps on the west side of the lake are huge, and able to launch dozens of boats per hour. 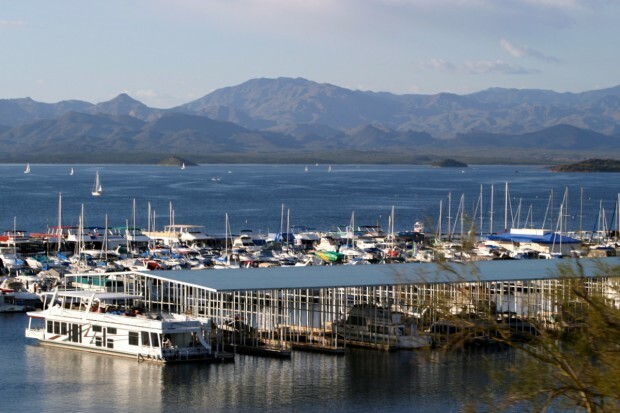 There are two marinas on the lake as well as a restaurant and rental facility. 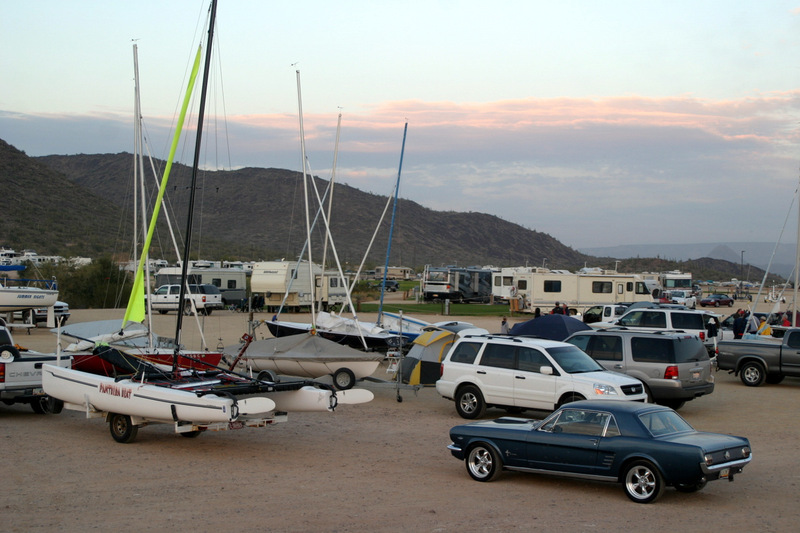 The east side of the lake sports a RV park and also sells gas and has restrooms. This side is known as Pleasant Harbor and is the oldest and nicest development at Lake Pleasant. 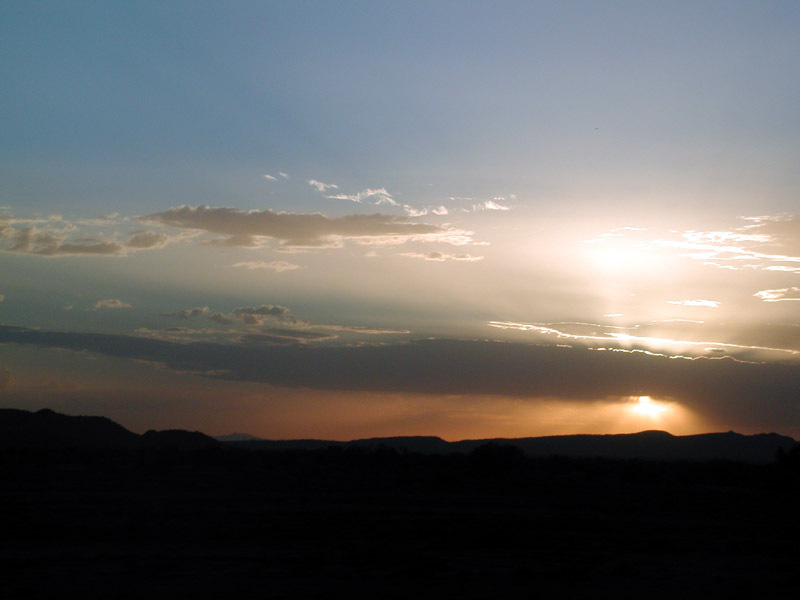 There are excellent facilities for RV and trailer campers. The RV side of the lake is popular among those with dirt-bikes. 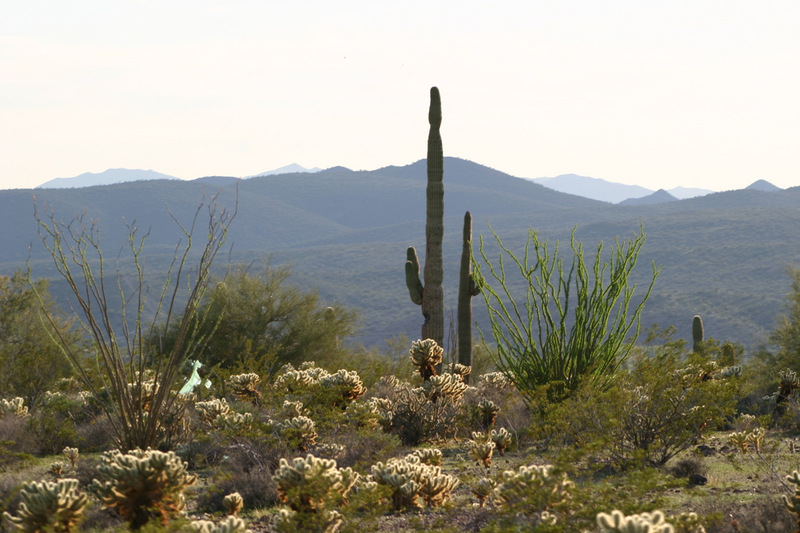 There are numerous excellent trails where you can go off-roading. The restaurant is a fantastic place to eat. They serve all of the traditional foods you might expect at a classic American restaurant — everything from fish, to burgers, to pasta. The restaurant includes views of the marina and is big enough for large events. 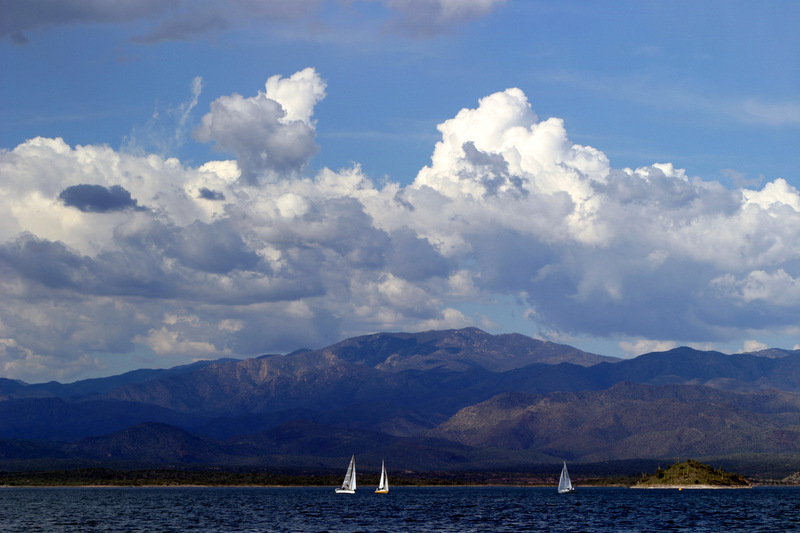 I practically grew up on sailboats at Lake Pleasant. My parents were avid sailboat racers. They took me to race weekends when I was 6 months old. I remember the days before they constructed the current dam and the lake was a quarter of the size it is now. 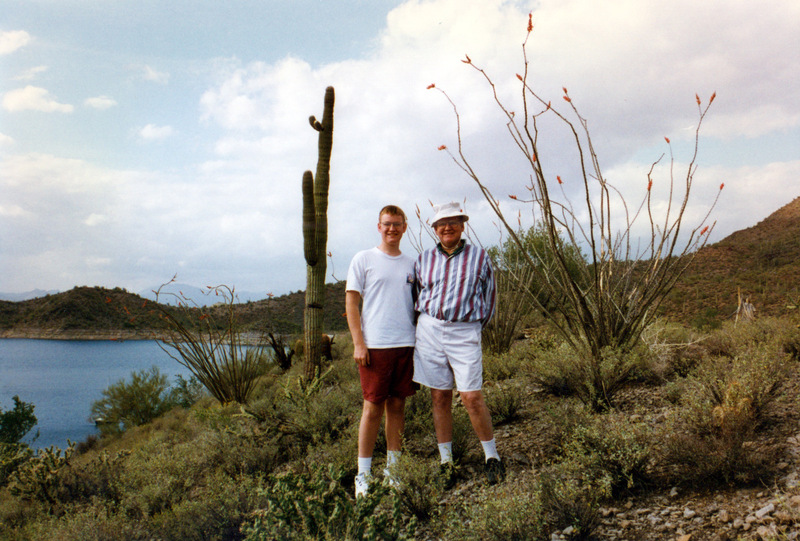 Back in the ’80s there was a huge island right in the middle of the lake that had high cliffs. The sailboats would go over by the edge in the shade of the mountain and people would swim in the water. 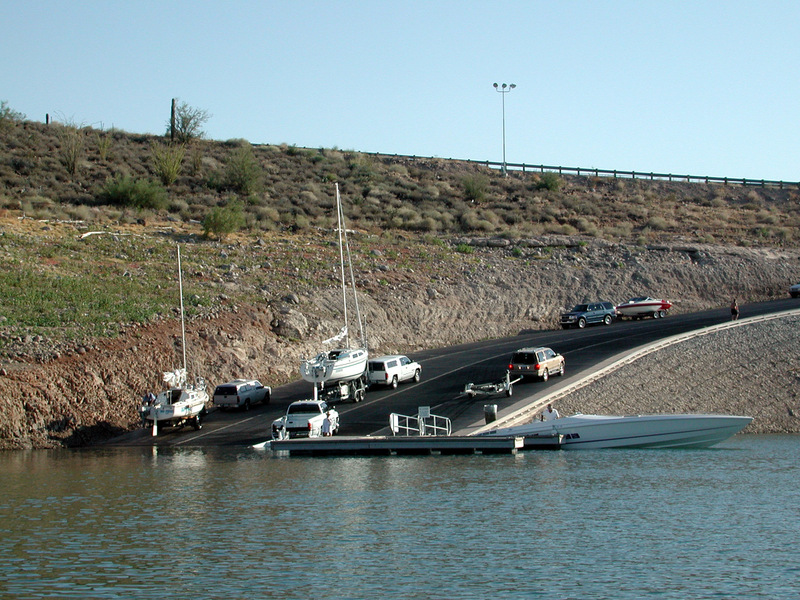 Entry to Lake Pleasant includes parking for $6 per vehicle. 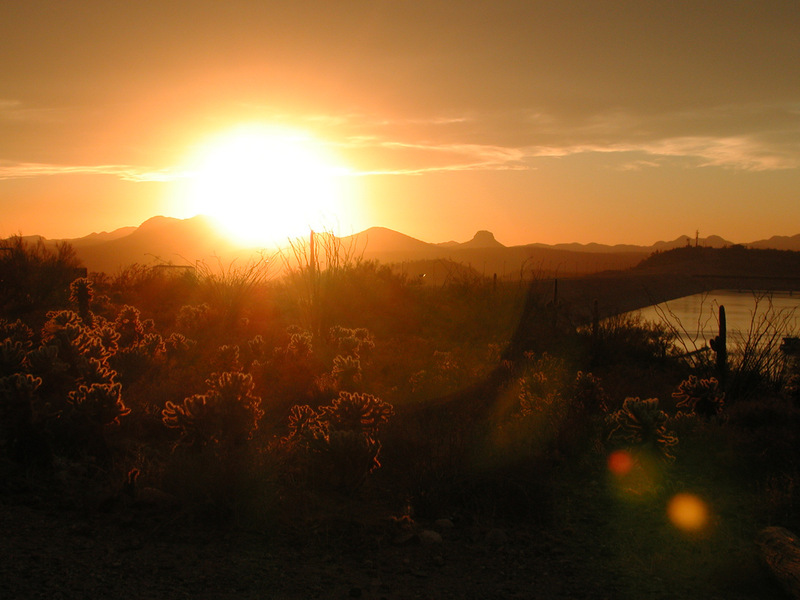 Head north on the I-17 and take the Cave Creek exit and go west. 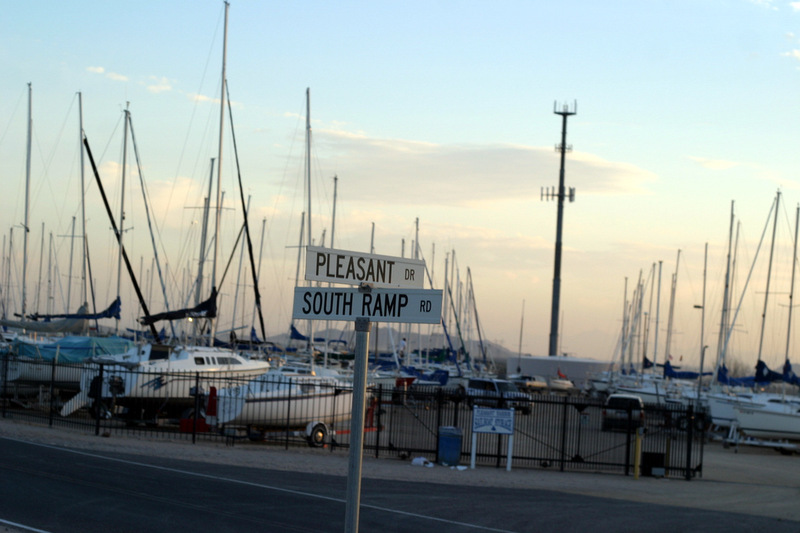 From there, follow the signs to Lake Pleasant.